Every year, the Acara Challenge shines a spotlight on University of Minnesota students with ideas that could change the world. This year’s winners are no exception. In its seventh year, the annual venture competition is open to students of any major from all U of M campuses, and projects may be in any state of development. 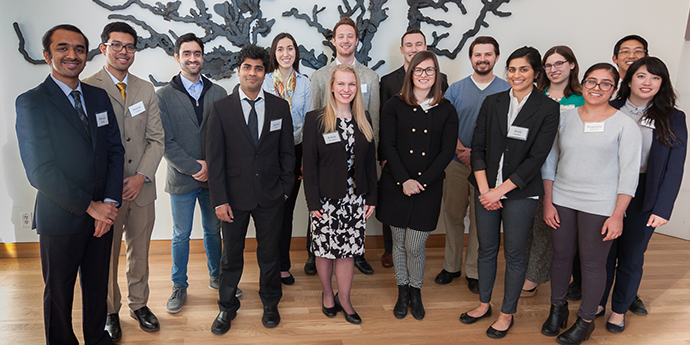 This year’s top prize winners, announced on March 1, included two Master of Development Practice student winners and two Humphrey students among the six Finalists. Bronze Winner: Wings of the Night depletes mosquito-borne transmission rates utilizing natural predation from bats while empowering the local community by providing education and reducing financial burdens. Tyler Vogel, Humphrey School of Public Affairs, Master of Development Practice 2019. Among the six Finalists were HHH students Molly Hayes and Erik Muckey.